PRESIDENT TRUMP BEAT ME TO THE PUNCH! Leave it up to the Donald. If there’s a door worth opening, he’ll open it. Trump had opened the door. He had provided an opportunity to begin the accountability process. The fire Trump was referring to in his statement that, with proper Forest Management, it “would never happen,” was the Camp Fire, described as “the deadliest and most destructive wildfire in California history to date.” This 153,000+ acre wildfire that raged in and around the central California town of Paradise, from November 8 to 25, 2018. 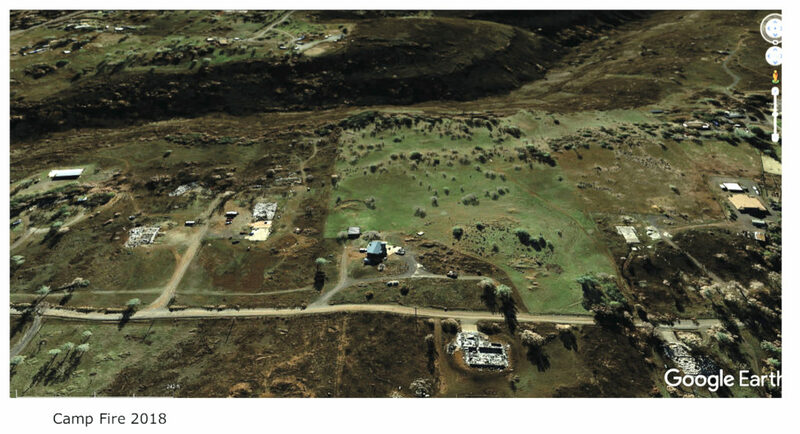 It resulted in 86 deaths and destroyed nearly 14,000 residences. In predictable NeverTrump fashion, the Post added: “The Finnish president later said he had never spoken with Trump about raking.” No problem! There’s a bounty of evidence a lot closer to home than Finland to support the indomitable Trumpster’s allegation that taking care of the floors of the forest can (and does) prevent wildfire. In fact, some of that evidence comes from the Camp Fire itself! Plenty more comes from less than a hundred miles from Paradise; some, from right next door. I can take some personal satisfaction from the “right next door” evidence, because I’ve given a couple of talks at Chico State University (about 15 miles from Paradise) about how grazing can be used to sustain and even restore ecosystem health. One of the things I’ve included in that discussion is how the impact of animals, (including goats) grazing the land can reduce fire danger. What kind of evidence are we talking about? First let’s talk about what kind of “taking care of the floors of the Forest” we’re talking about. About 96 miles from Paradise the town of Nevada City, California has created a Goat Fund Me page (That’s right. I didn’t misspell it — “Goat Fund Me” via gofundme.com to raise $30,000 to hire goat ranchers to use their animals to clear flammable brush and grass from a 450 acre greenbelt that surrounds that town. Would it work? Does anyone believe it will work? One item of evidence is the fact that the Vice Mayor of Nevada City, Reinette Senumm, says the town is using “Goat Fund Me” to raise money quickly because the goats are only available on the short term. Why? They’ve already been hired out for fire prevention to other municipalities the rest of the year. In fact, Goats are used to reduce the flammability of land surrounding the Diablo Canyon Nuclear Plant in California. Getting back to the site of my talk — Chico, a month before the Camp Fire started, the city of Chico imported hundreds of goats to begin a month-long grazing program to reduce fire danger in one of the city’s parks. The Camp Fire burned to Chico’s edge but, according to the fire map, barely entered the town and didn’t really get near the park. 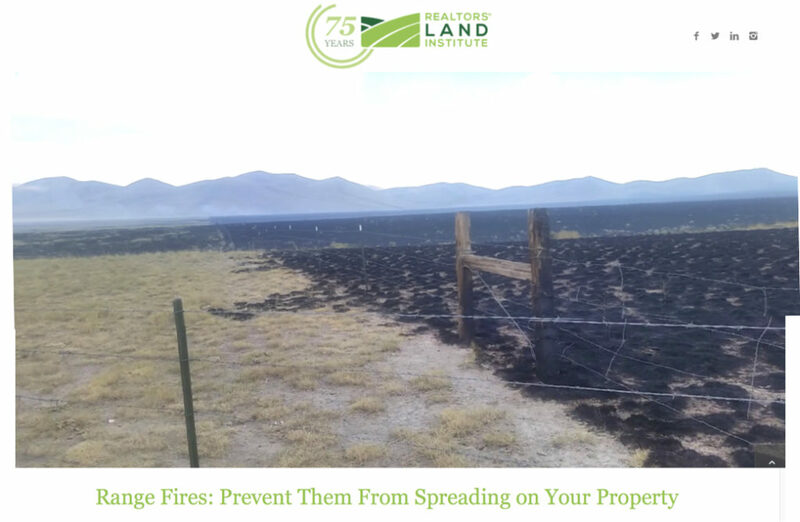 Illustrating the effectiveness of using grazing to prevent wildfire, there are areas where wildfire has burned to the edge of land that has been grazed and stopped right at the fence. What stopped it? Not the barbed wire that kept the cows, sheep or goats in. Three wires, one and a half feet apart, can’t stop a raging windblown wildfire. 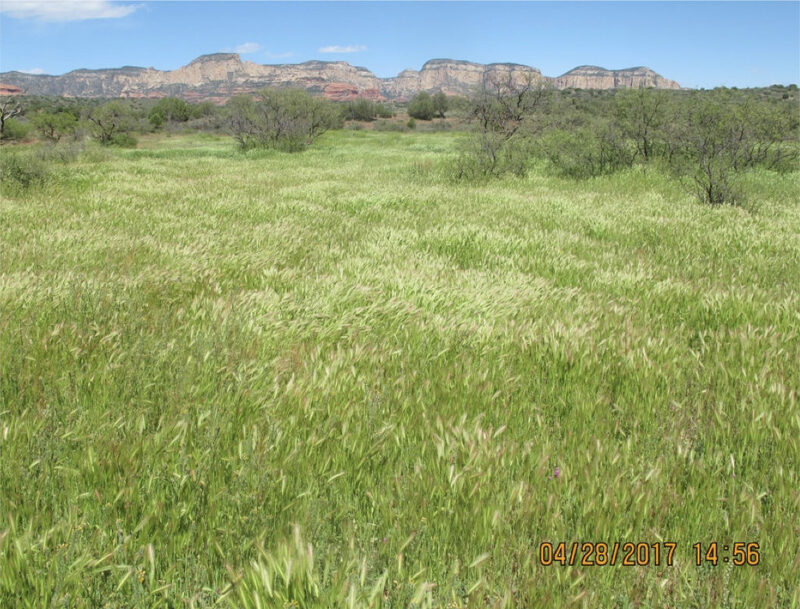 What stopped it was the beating heart of ecology, specifically, land that is actively involved in the interaction we call life (in this case, eating grass, feeding it with fertilizer, and moving on to let it regrow and produce more food). Land where that interaction happens is more alive and resilient than land that is “protected” from it. Now that we’ve got your eyes sharpened a bit here’s a photo showing where the same phenomenon (fire stopped at a fence) happened during the burning of the Camp Fire itself. “But, wait a minute!” I know some of you are saying after seeing what you have just seen, and I know you’re asking: “How can grazing stop a wildfire, except by eating everything burnable?” That’s a complicated topic, not because the answer is complicated, but because so much propaganda has been disseminated attesting that grazing causes wildfire as well as other negative impacts to ecosystems, and can only stop wildfire if the animals eat everything, then it’s overgrazed. Well, let’s visit some more evidence. 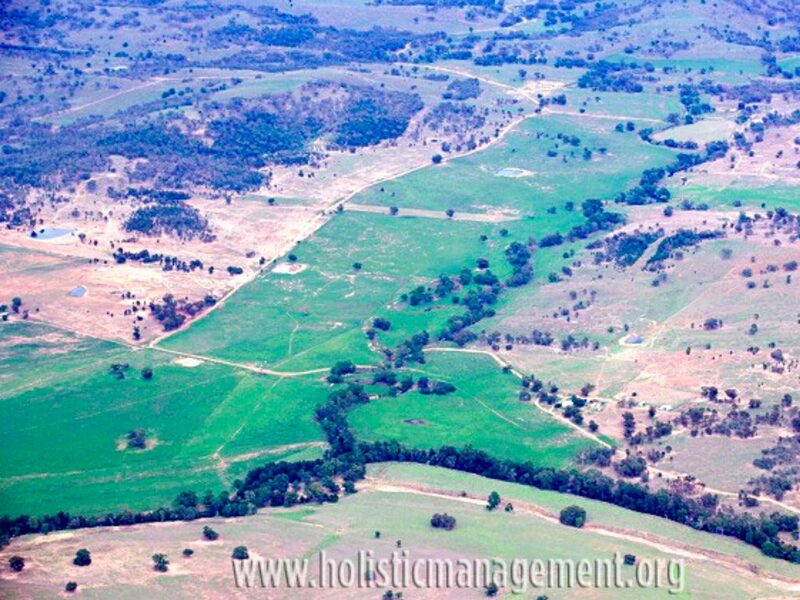 The above aerial photo, downloaded from a website that explains how grazing livestock in a way that mimics the interaction of wild grazers with their habitat shows a ranch in Australia where grazing is used to enhance ecosystem health. 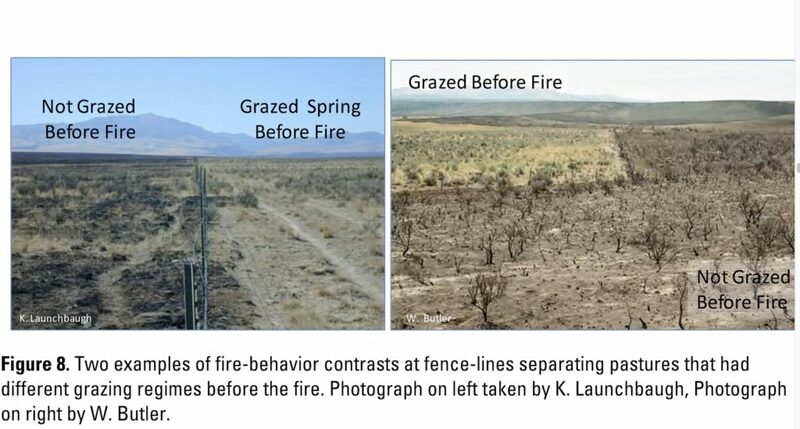 Viewing that photo I believe you can get an idea of how grazing can stop wildfire at a fence line. 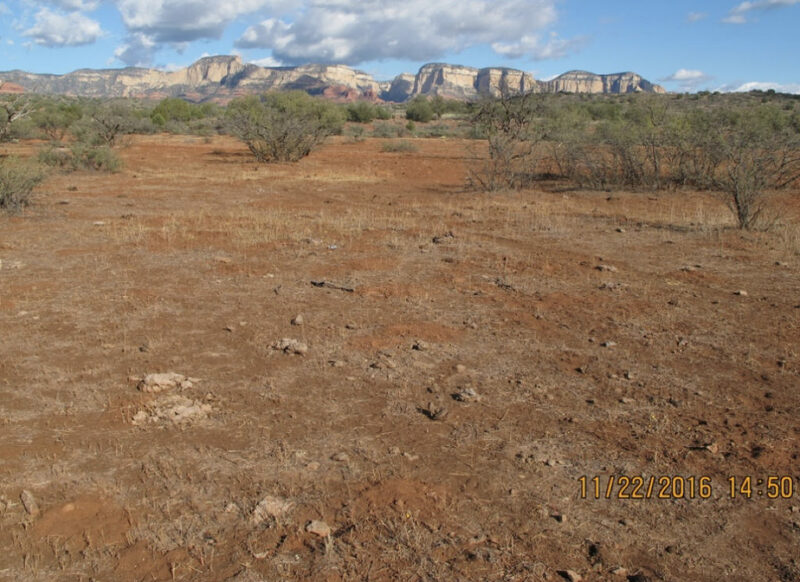 Next, — “Dub” The exact same location after the cattle have moved on to an area where there is both water and food. (Check the dates, and the location.) With the cattle gone the grass has regrown, but now it’s too green to burn. That means the cows will be back soon to graze it before it becomes burnable. Hear the heartbeat: “Lub — Dub.” For a more orderly presentation of this evidence click HERE. Having seen all these photos, it’s now time to ask yourself a couple of questions: Which of the two main types of management shown here — grazing/no grazing (aka “protection”) would you want your house to be near? Next, ask yourself which of those two types of management — grazing or “protection” — should be expanded in an effort to retard the explosion of wildfires currently plaguing the American West? And, which type of management should be reduced, regulated? Maybe, in some especially hazardous situations, banned? What are some of those other types of ecological damage for which protection could be held accountable? (At this point I hope POTUS Trump is reading because he can help us solve these problems.) For an answer to that question, visit these posts on this site: CANYON OF FOOLS, TRAIL RESTORATION WITH A CLICK, DOES ENVIRONMENTALISM WORK? CONDUCT YOUR OWN ECOLOGICAL STUDY, WHERE’S A REAL ENVIRONMENTALIST WHEN YOU NEED ONE?, WHERE’S A REAL ENVIRONMENTALIST MORE! and anything else on www.rightwaytobegreen.com that catches your eye.